Valvo Hamburg tubes are only E88CC and are very rare. Second line of code will start with a Dxx or Dxxx. 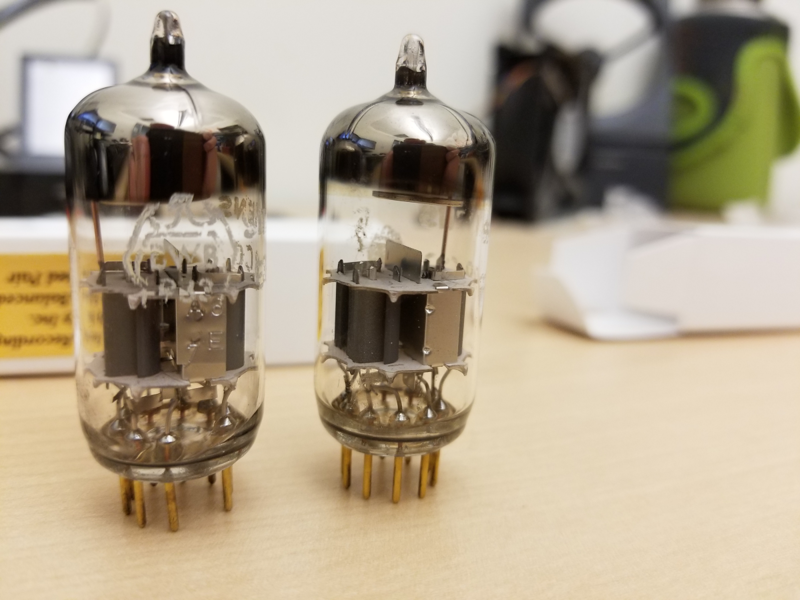 Remember this tube is a late comer to the party compared to the typical signal tubes like 6SL7; 6SN7; ECC81; ECC82; ECC83, etc. The earliest tube is from about 1957. One of the tubes has what looks like a half circle with a dot in it and then 8A in gray text. The other has no gray text but has yellow text in that area that says 83 and then another letter/number that's been wiped off. closed getter w/dimples is later yet. This is general information for the Euro made tubes by Holland, Munich and Hamburg Germany and England. The first one is Ei Nis ( Elektronska Industrija) tube made in Yugoslavia in the late 70's early 80's. They made some consistently good tubes considered current stock then. The earlier the better as by the late 80's quality slipped. They supposedly bought Telefunken machinery and materials. not sure on the 2nd one. Have to see it. If, by chance, Brock dangles a Valvo Hamburg in front of you I'd suggest taking advantage of that opportunity. Dare I Google "Valvo Hamburg"? ... or ask Robin Williams. Ain't doing any good standing on your table, or desk, or what have you. They literally just arrived today at my office and I immediately took those photos. I'll get them swapped in soon, but I'm evaluating some other gear right now that is taking precedence. Can't listen to a standalone DAC and a tube CDP at the same time! @Clipdat - Stay tuned, this is where I got a ton of startup knowledge on tubes. I knew a little when I started, and, still know very little, but, it's certainly not for lack of good info shared here. Some great forum members have been very generous in their help, some even sharing tubes so I could get an idea of that particular tubes "flavor." 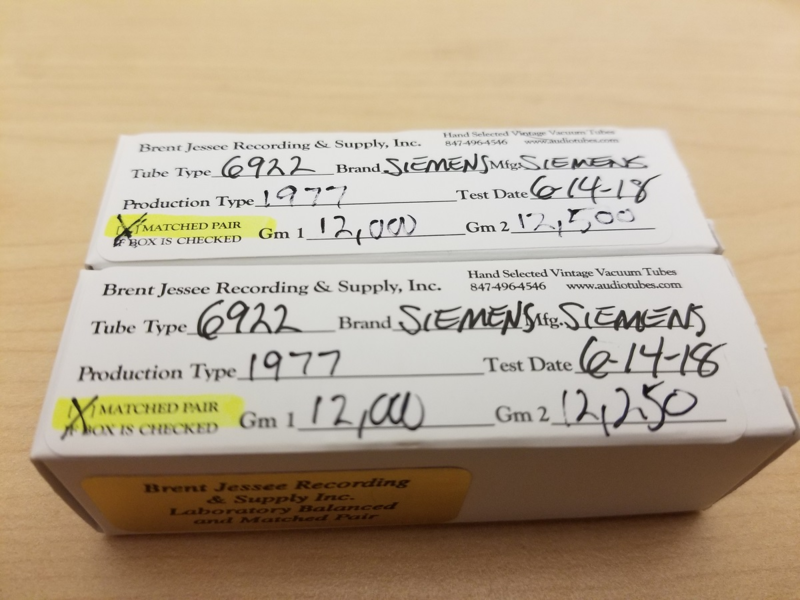 There is a learning curve for home audio tubes, but, it's a fun journey and can be very eye opening. What I once looked at as a "hassle" and, possibly daunting, I now consider fun and something I look forward to. It's amazing what can happen to your sound from one set of tubes to the next. Nice post. This is a great thread to which I have zero knowledge of. Great well experienced members here. Keep us posted on your journey Clip. Will do. I have the week of the 4th of July off from work, so I expect to be able to log a lot of hours on this player then. Yeah, don't remind me. Not looking forward to it. People in my neighborhood love to set of these huge mortars for several days leading up to and after the 4th. My skittish cat gets really freaked out and scared by it every year, feel so bad for him. Get the furry beast some ear muffs. Our old neighbors would have real fireworks (AKA missiles) that they would shoot directly above our house, making it pretty much impossible to go outside every night unless we wanted to get rained on with burning ash. They would do this for one to two weeks. Ruby (our St. Bernard) was always so so scared. It was defeaning even inside the house. And on the actual night of the fourth, they would have a huge party involving fireworks, ATVs, and beer. Two years ago they flipped the ATV twice, and two of them were sent to the hospital for being basically blown to bits when one held a Roman Candle and pointed it at himself and his friend. Thank goodness they are gone. I finally hooked the Njoe Tjoeb up in my main rig today and I'm taking a listen to it now with the Gold Aero tubes that were in there. 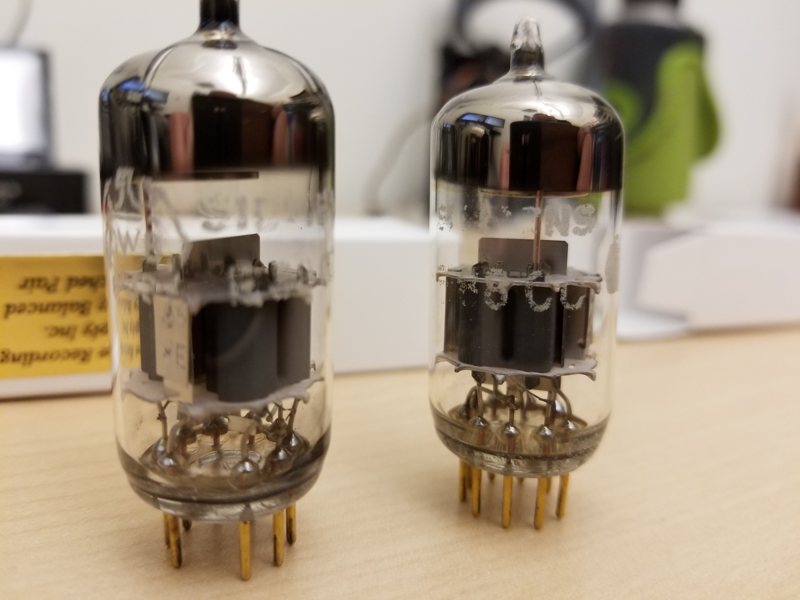 Figured I should get a baseline of how the player sounds with these tubes, so I have a frame of reference before I swap in the Siemens tubes. After things have warmed up, it's sounding pretty damn good. Definitely getting some nice palpable 3D stereo imaging effects, and it seems like voices/midrange are somewhat accented. I can easily hear all the vocals thanks to the clarity, and they sound sublime. Highs might be slightly "rolled off" or not as crisp as some of my solid state CD players. Musicality is high, the sound has a certain "ease" and smooth flow to it. So, having nothing to really compare them to, I think these tubes that it came with are damn good! Things are sounding very nice to my ears at the moment. I'll be surprised if the NOS Siemens pair can improve on how things are sounding right now. Interesting! I was thinking more about this in general terms, and comparing the sound of a tube buffered DAC/CDP with a traditional solid state piece. I think the tube must add some level of "smoothness" to the sound, at perhaps the expense of some detail or maybe soundstage width (depending on the tube). My experience thus far with this player and a tube DAC is that the music just sounds "good". It's more enjoyable to me. There's a "naturalness" to the sound that is hard to describe. I think I might be starting to understand the allure of tubes. You don't have to sacrifice detail or soundstage with a tube piece. Just a matter of finding the right piece...and the right tubes to put in it. It might just be the gear/tubes that I'm using then. Admittedly, not very high end stuff. By soundstage, I just meant that the sound seems a little flatter and not quite as wide. A little bit more compressed. More "localized" to the speaker. A reduction in detail might be a stretch. Everything is still definitely there, it's just being presented differently. I can still hear everything. However, there's not as much hyper critical detail almost to the point of being "etched" like there is with my Rotel RCD-1072 for example. I prefer my tubes in the amplification stage, moreso in the power amp stage. I know most prefer tube pre/ss power, but I prefer the other way around. I find you get more of what tubes offer in the naturalness realm if you keep them in the power stage. The 'tube sound' isn't about tone though most feel it is. It is more about the presentation of the music. Organic is the best term I have for it. Things seem more real, more present, and the music is less etched as you put it. There is a 'rounding' of the image instead of an immediate cliff. Images have more realistic body to it instead of sounding like a pencil is singing to you. You can get great sound out of solid state - most of it depends on what is most important to you in the presentation. People who put emphasis on power, control, and immediacy usually prefer solid state. People who put emphasis on the intimacy of the performance and the emotion it can convey usually prefer tubes. Interestingly enough, even for very electronic music like psy trance, which has basically no resemblance to any real musical instruments, the tubed CDP seems to add more texture and grace. The layers of sounds just sound even more lush and intricate. So it's not just traditional music with vocalists and stringed/wind instruments that seem to "benefit" from tubes. I say "benefit" subjectively, as some might not like this sort of presentation. I'm still at the very tip of the tube iceberg, but I used to think that tubes were just a way to color/eq the sound. It's definitely different than that, it's hard to describe using words, versus just hearing it for yourself. I also used to think "Why would anyone want something that has measurably more "distortion" and isn't as accurate as solid state?" Well, now I'm starting to understand why. You're making progress. Tubes add soul! It's a deep, but fun rabbit hole. One of the things that fascinates me is that this glowing bunch of wires/plates and coatings inside a vacuum sealed glass envelope is still operating as new 40-50-60 years later. So many still around in very good to excellent condition. Plenty of tubes out there in good working order that are considerably older than 60. Heck, I've got, and use, some early 1940s vintage 6SN7s that are mighty fine... and I know folks (with deeper pockets than mine) that are rockin' things like globe 45s that are considerably older than that. Every once in awhile I'll rock my 6sn7gt VT231 made in early 40's. 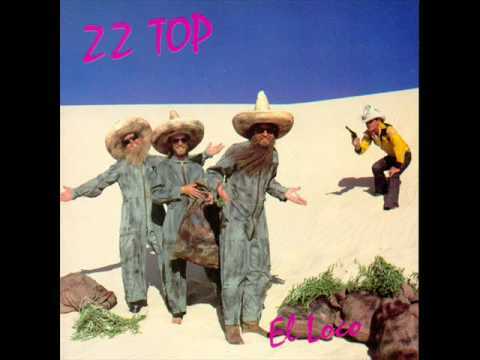 Listening to this player again and continuing to be impressed. If nothing else, it's worth buying one of these on sight just to experience for yourself the great stereo imaging it has. So very nice!